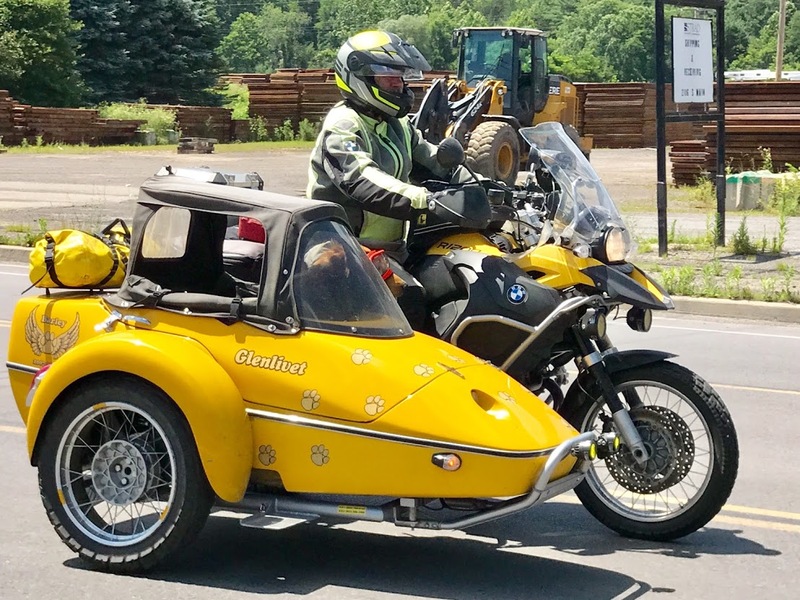 Are spoked wheels preferred for a sidecar bike? I'm looking at Triumph Bonnevilles as a possible sidecar bike. Most have spoked wheels, but some have cast allow wheels. Generally, either spoked or alloy wheels will work. The issue is side loading on the wheel. Solo bikes don't experience any significant side loads but sidecar tugs do. I have one of each, spokes and alloy and both have worked well. The only negative I've seen is using spoked wheels that have aluminum rims. There are reports of spokes pulling out of the rim. Of course good maintenance is required either way. Properly adjusted spokes in steel rims work just fine. Of course, this is just my experience, I'm sure you'll hear from others. Have fun driving your rig. I agree with Al on this. My first sidecar rig had aluminum rims and I pulled a spoke. The rim formed a crack around the spoke at the rim. It was an R90 BMW so I found a BMW salvage place and bought an alloy wheel. I eventually replaced both wheels with matched alloy versions. Spoke wheels have an old look and are sharp on some bikes and sidecars. They will fail at some point , they Do require maintenance. Like one I saw a few months back . Couple on a Trip needed a tire . When deal pulled the tire they found 2 broken spokes. It took them a good deal longer and high cost to get back on the road. Lucky for them the dealership had a tech really good a spoke wheels. Not always the case anymore. There are Spoke wheels that are tubeless, however those can also have issues most , require a tube another downside. Ok when it was all we had but Tubeless is far better. There are far better options IMO. I had spoked wheels on my R1200GSA based rigs. Never had an issue with them in 85,000 miles of use, some on dirt roads and much of it pushing hard in mountain twisties. But they were an absolute pain to keep clean! Since my dog doesn't enjoy the vibration associated with rocketing down dirt roads (and I'm getting older) I just made the switch to 17 inch cast rims all the way around. No riding time on them yet as we still have a foot of snow on the ground, but looking forward to hitting the road again soon! Thanks. My new rig has allow wheels, but it is primarily for the road. I can see where spoked wheels would be the better choice for a rig that goes offroad. I hope your snow is gone soon.